Here's another project my friend Eva Davalos created using SU's Kraft Boxes and the new Scentsational Season Stamp Set and Framelits. She made little 3"x3" Christmas tags to go into the decorated Kraft Box. 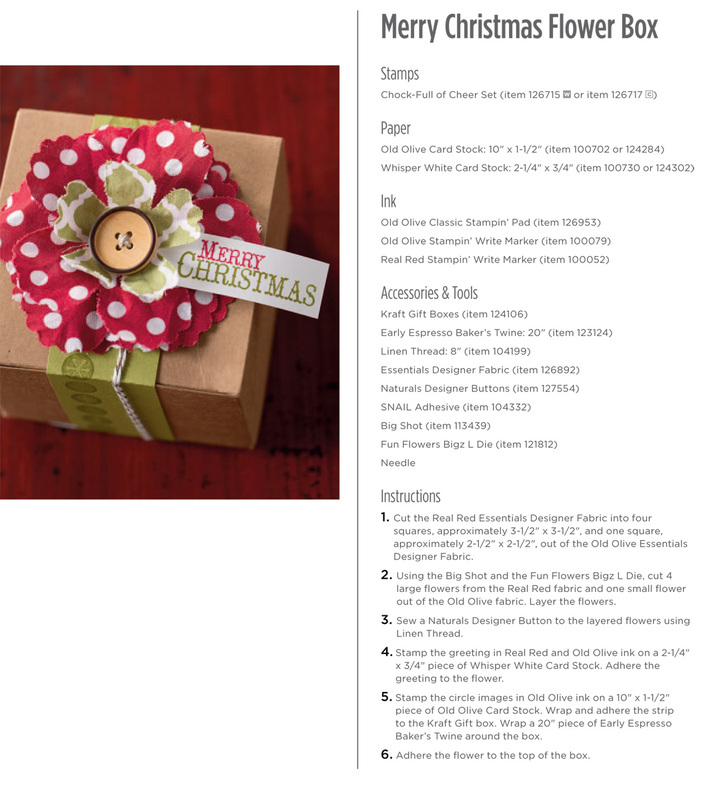 The box has the new Cherry Cobbler Tulle Ribbon around it and the top is decorated with snowflakes die cut from the new Snow Flurry Bigz Die. 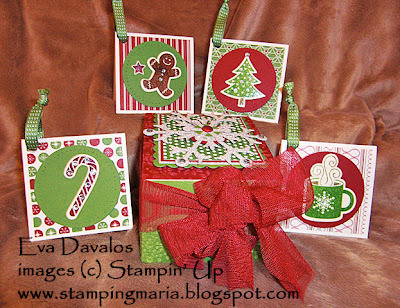 Here's a Stampin Up Tutorial showing you another way to decorate one of the Kraft Boxes using Fabric. I can't believe it's time to think about Christmas when it's still over 90 degrees outside!